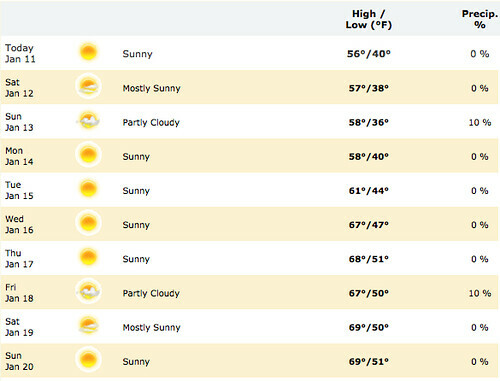 90291 10-Day Weather Forecast! - Yo! Venice! 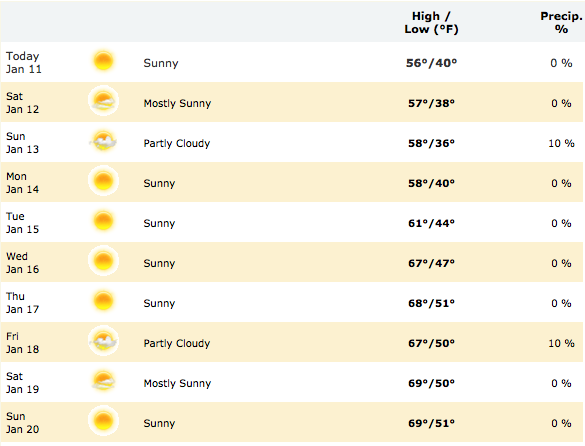 Home Random Venice Beach Stuff 90291 10-Day Weather Forecast! A low of 36° is expected Sunday evening? Yowza!